We are pleased to offer you our FREE pick-up and delivery service, a door-to-door convenience at no cost to you. Join the delivery service Omaha has been talking about. Attached is a complementary welcome bag. You are invited to fill it with your cleaning. Complete the registration card, then call or email us for a pick-up. 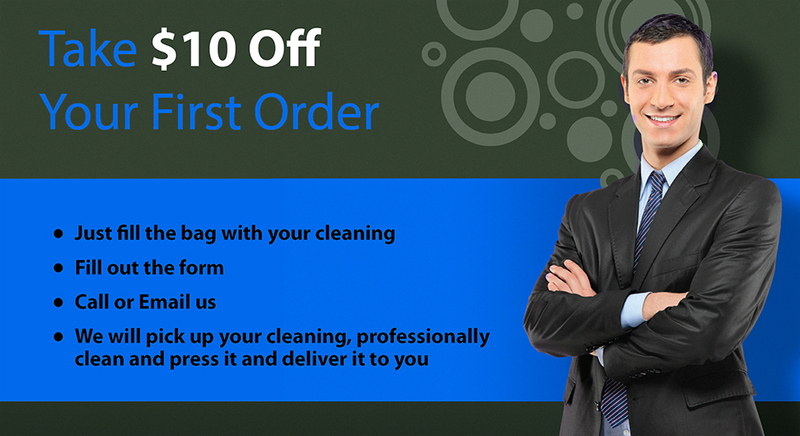 We will professionally clean and press your garments and deliver them to you. Total Convenience With Quality Assured. *We will call you for your card number and expiration date.